5,000 projects set to benefit from €1bn in EU funding. The European Union has announced a huge funding push as it looks to become the leader in quantum computing. 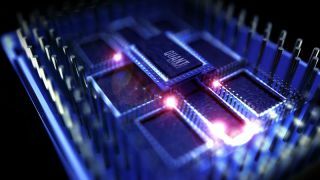 A new initiative called The Quantum Technologies Flagship has been launched to fund 5,000 of Europe’s leading quantum technology researchers over the course of the next ten years. The researchers would dig deep into quantum technology to uncover commercially applicable and disruptive technologies, eventually building a so-called quantum web, a place where quantum computers, simulators and sensors would be connected via quantum communication networks. At start, the initiative will fund 20 projects with a total budget of €132 million until 2020. This is part of the Horizon 2020 program. These projects will focus on four application areas: quantum communication, quantum computing, quantum simulation and quantum methodology and sensing. “More than one third of participants are industrial companies from a wide range of sectors, with a large share of SMEs,” the Commission said in a press release. From 2021 and beyond, 130 extra projects will be funded. "Europe is determined to lead the development of quantum technologies worldwide,” said Andrus Ansip, Commission Vice-President for the Digital Single Market. “The Quantum Technologies Flagship project is part of our ambition to consolidate and expand Europe's scientific excellence. If we want to unlock the full potential of quantum technologies, we need to develop a solid industrial base making full use of our research." Those interested in learning more, visit this link.